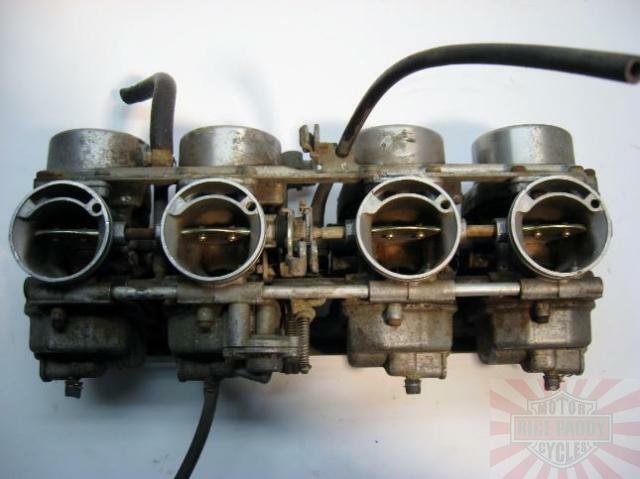 This is a set of carbs / carburetors for a 1979-1980 Honda CB750 CB750K CB900F motorcycle. . The butterfly valves open and everything looks pretty good, but you'll at least need to clean them thoroughly before they will work properly. Take a close look at the pictures.